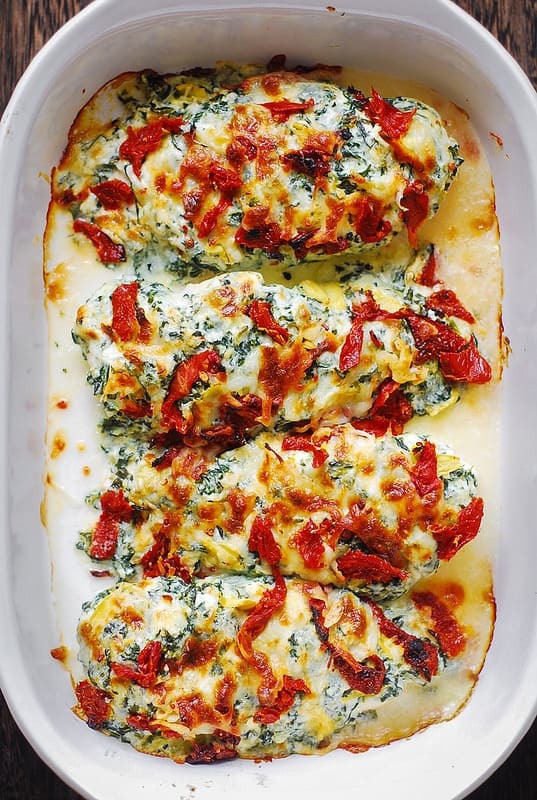 Chicken Florentine Bake – chicken breasts stuffed on top with easy homemade spinach-artichoke dip, chopped sun-dried tomatoes, and baked to perfection with Mozzarella cheese on top! 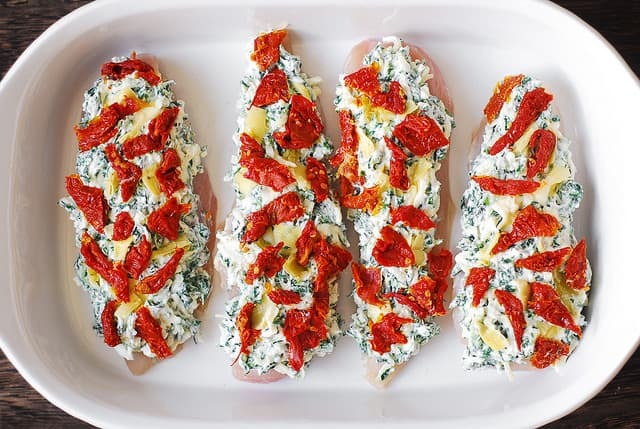 If you’re looking for an easy and best way to bake chicken – make these Florentine-style baked chicken breasts! 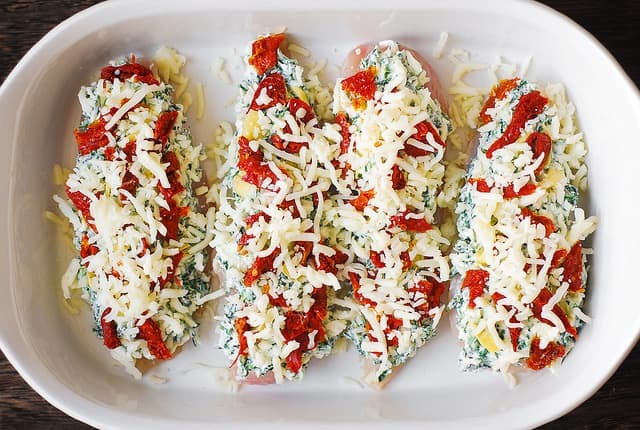 Just pile all the ingredients on top of the chicken and bake everything for 30 minutes. 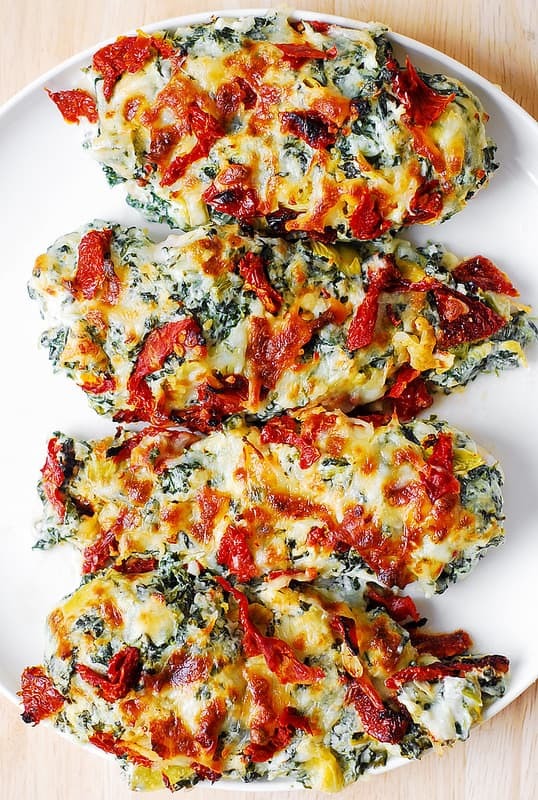 Spinach and artichoke dip together with sun-dried tomatoes are pure comfort food on top of chicken breasts. 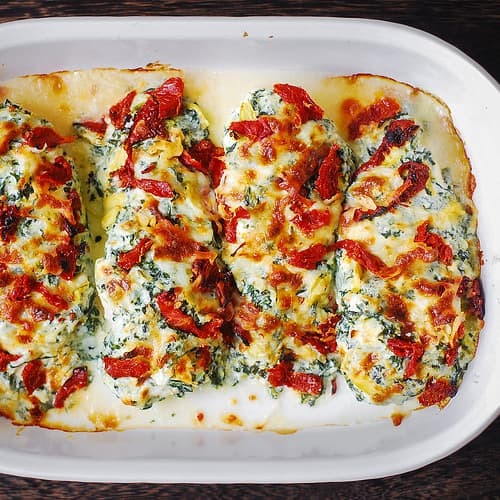 Chicken Florentine Bake - chicken breasts stuffed on top with easy homemade spinach-artichoke dip, chopped sun-dried tomatoes, and baked to perfection with Mozzarella cheese on top! 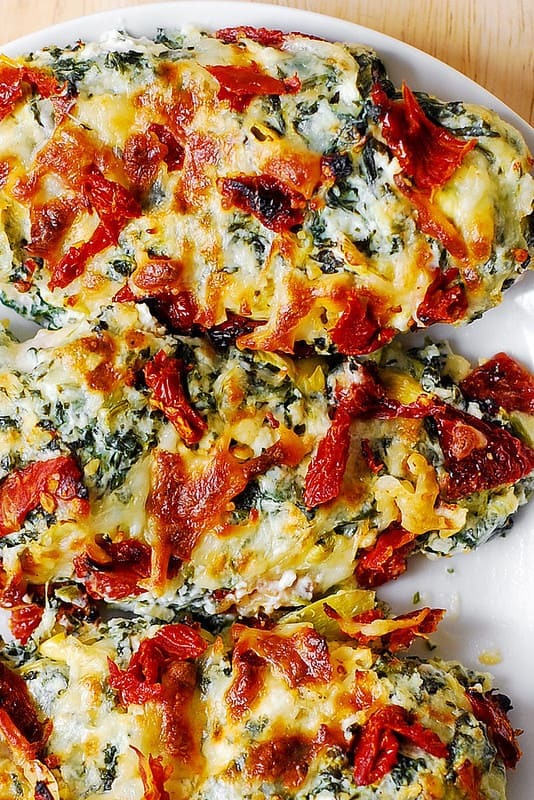 Mix spinach-artichoke dip ingredients together. Make sure to add salt to taste. 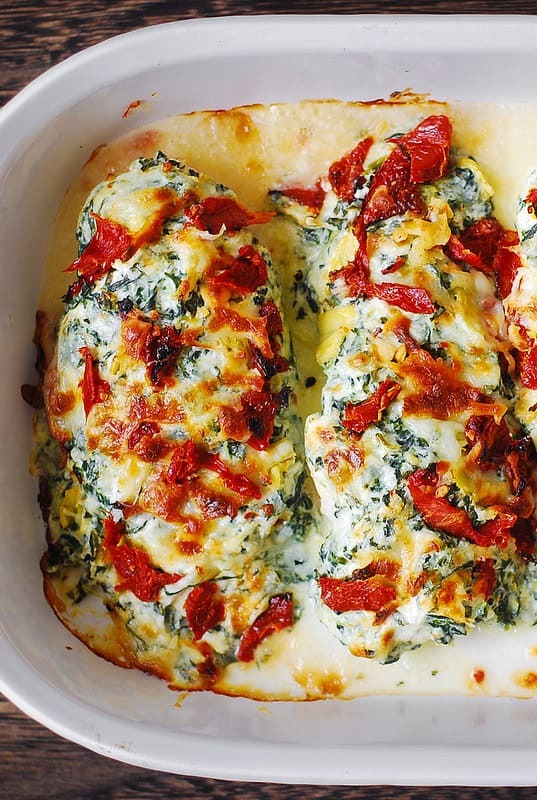 Add chicken breasts to the casserole dish. Sprinkle chicken with salt. 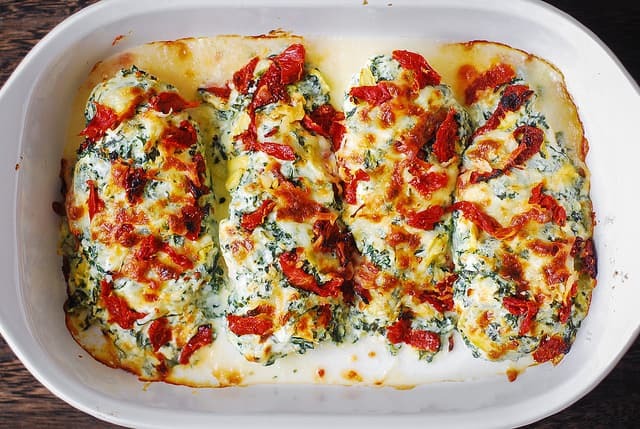 Add spinach-artichoke dip on top. 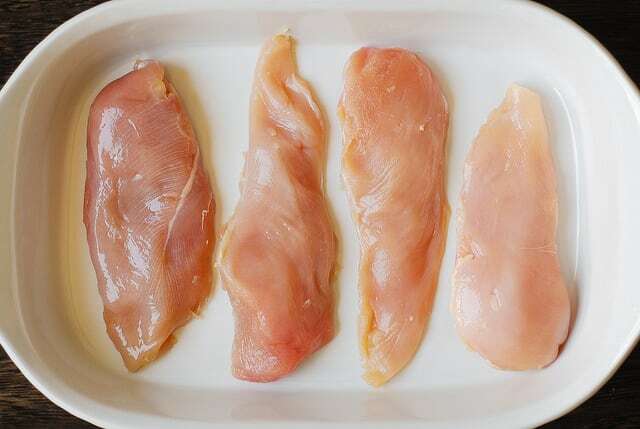 Bake in the preheated oven at 375 F for 20-30 minutes until the chicken is done and no longer pink in the center. 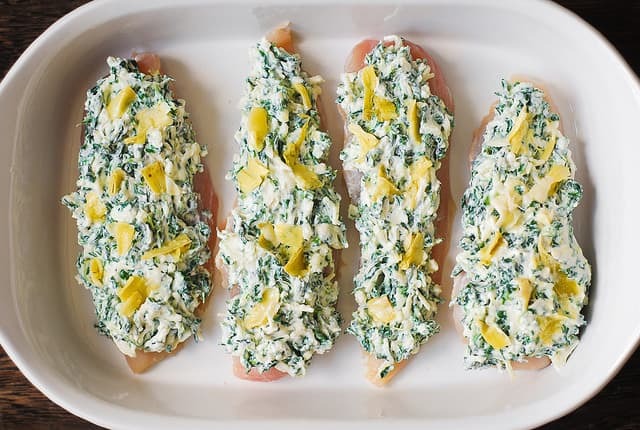 If using thin chicken breasts, they should be done in 20 minutes. Broil for 2 minutes at the end, if desired.